UPDATED: Both the paperback and Kindle editions are now available on Amazon. 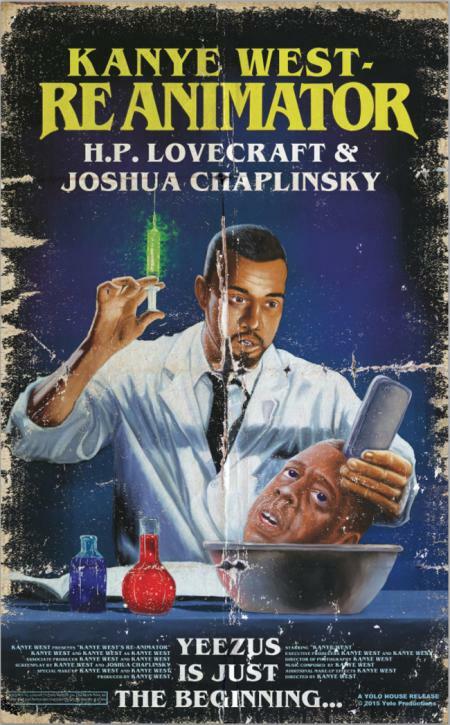 I’m pleased to announce that I’ve announced the impending publication of my book, “Kanye West—Reanimator,” over at LitReactor. It is a reimagining of Lovecraft’s classic tale, “Herbert West—Reanimator,” with everyone’s favorite petulant genius cast in the titular role. Click the link for full details, and check out the amazing cover art by Dyer Wilk below. Release date is September 1st.